New Decorative Bottle Designs from GW Art! 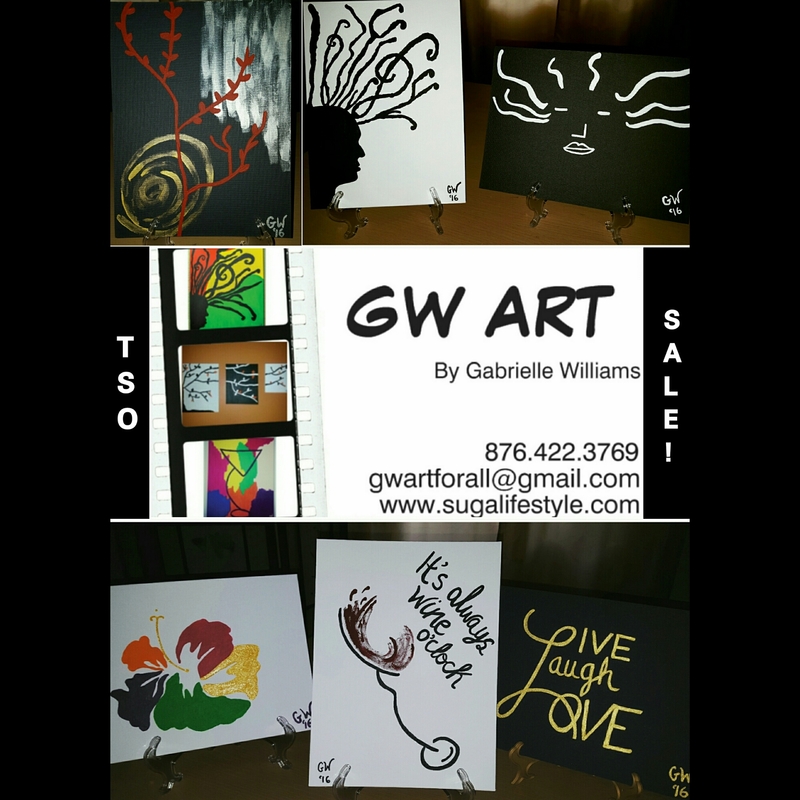 ***The GW Art Gallery is on the http://www.sugalifestyle.com website! Have a GW Art Christmas! More designs to come! Stay tuned! Come Support GW Art at The Hub Coworking TSO Pop-Up Shop Tomorrow! Please come out TOMORROW and support Gabby from Suga Lifestyle’s new GW Art Collection at The Hub Coworking’s TSO Pop-Up Shop from 6:30pm-12am. It’s at the New Grey and Red Professional Suites on the corner at 34 Lady Musgrave Road. Unit #18. Desktop/Tabletops and Decorative Items will be on SALE. They are awesome ideas for Gifts as well! 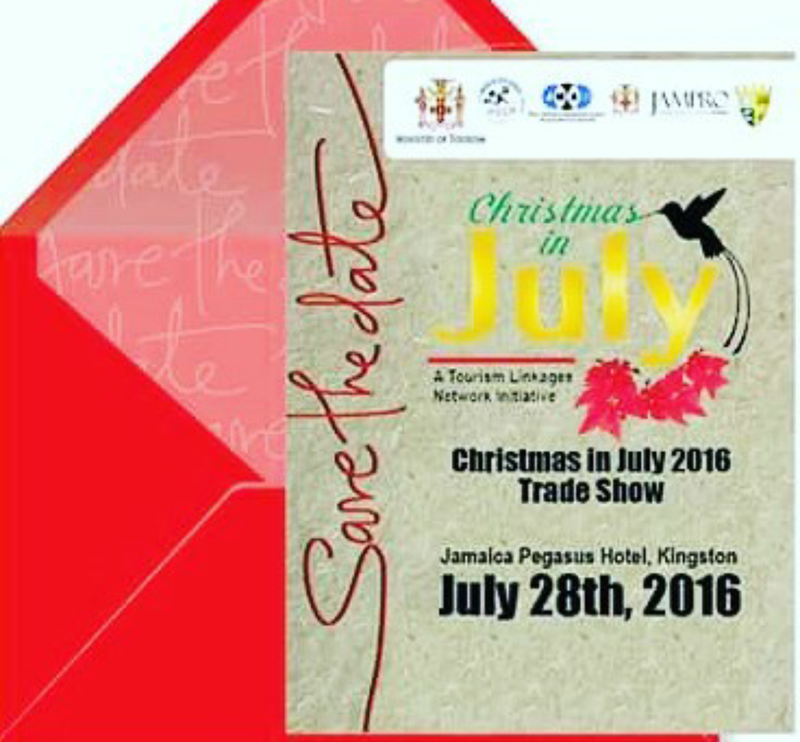 The Ministry of Tourism is hosting Christmas in July from 11am-6pm TODAY at the Jamaica Pegasus Hotel. Check out locally made gift items that will be on display. No sales will be made today but be sure to get contact information and order your gifts. 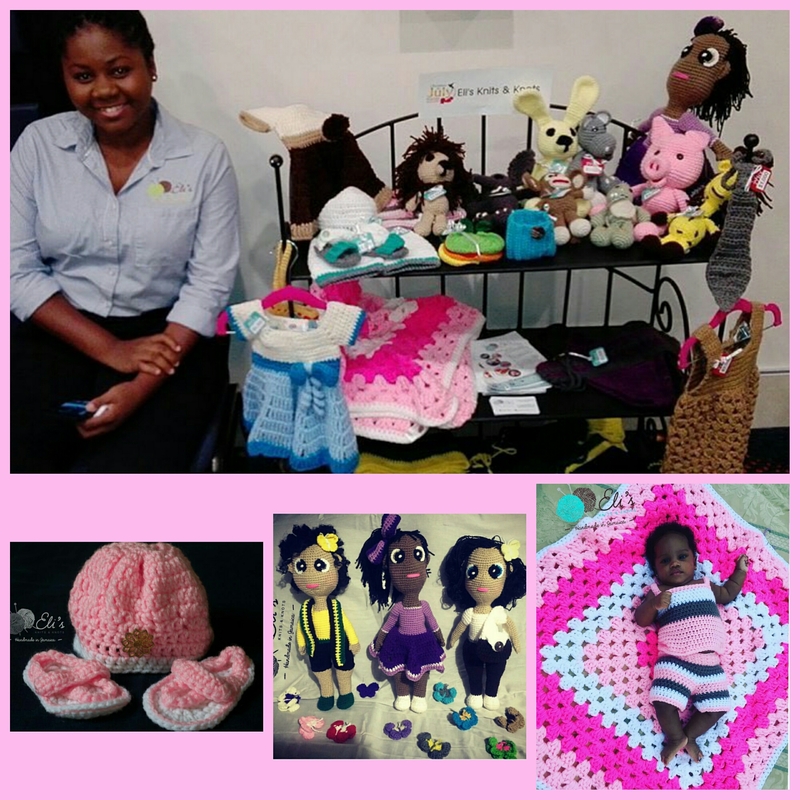 Be sure to check out the buzzing new crochet line, Eli’s Knits and Knots specializing in cosy hats, clothes, stuffed animals and dolls, blankets and more for the young ones! First of all, what is Skunk Nation? Skunk Nation represents Jamaica’s ‘Stinkest’ (Eye catching), finest machines a.k.a. cars. Whether it’s the paint job, rims, tints etc., it is all about the time, effort, skill and vision becoming reality while building and supporting local at the same time. Two Saturdays ago, Skunk Nation had their annual ‘Xmas Charity for the Kids’ that Suga attended at Susie’s Bakery in South Dale Plaza, which brought Skunk rides by different teams across Jamaica together for a good cause. Persons were asked to bring gifts to drop in their gift drums or to make monetary donations. Cars were on display of course and Dancehall Artiste, Tanto Blacks made quite a memorable appearance. It was an exciting night of dancers, music and freestyling. Throughout the night as the liquor flowed and the vibe got ‘rich’, persons felt more inclined to drop money in the boxes carried around by Skunk Nation’s team of girls. Donations such as strollers and more were handed over to Mary’s Child Girls Home last week with the aid of sponsors, Truck Stop, Sparkles Productions, Chun Scents, Ship n’ Go and KMS Distributors to name a few. Follow Skunk Nation on Instagram @skunknationja or @skunknation or like them on Facebook, Skunk Nation Ja. Find out when their next event will be! Get your Blessing bead Bracelets and support JET today! JET’s custom made Story & Myth Blessing bead bracelets are available now for $1500JMD! Move over Pandora and Happi Beads! These Blessing bead bracelets are the new craze and they are affordable and available in all of your favourite colours. They will make excellent Christmas gifts. What does each Bracelet have or come with? Each bracelet has a unique leaf charm, a tiny JET tag and is accompanied by a card that can also be used as a gift tag. The leaf charm comes in different colours. What are the Bracelets made of? They are made from seeds of a grass called Job’s Tears and are assembled by people with physical disabilities. Proceeds support Jamaica Environment Trust. Where can you get your Blessing bead Bracelets? JET’s Office at 123 Constant Spring Road. Unit 5. Kingston 8. Grosvenor Galleries Christmas Fair tomorrow and Sunday!